The faculty in CAS continue to produce cutting edge scholarship. Congratulations to Dr. Bryan Jack, associate professor in Historical Studies, who recently edited and published a book entitled, Southern History on Screen: Race and Rights, 1976-2016. The book is the first of its kind, using race as a primary lens for perspectives on Hollywood’s depiction of Southern history and identity, and its portrayal of Jim Crow–era segregation. Historical Studies colleague, Dr. Eric Alexander, also contributed a chapter focusing on the era of reconstruction in the volume. Congratulations also to Dr. Mark Hildebrandt, Associate Professor in the Department of Geography, who was recently hosted by the National University of Science and Technology (NUST) in Islamabad, Pakistan as part of the Fulbright Specialist Program. While in Islamabad, Mark studies how to initiate an air quality monitoring program in the region where it is desperately needed. Of course, CAS faculty contribute in many ways! A new scholarship fund in CAS will also have an international focus. 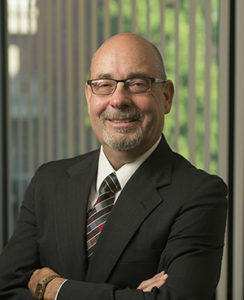 The CAS Broadening Horizons Travel Scholarship has been created through a planned gift donation to the SIUE Foundation from Dr. Kevin D. Cannon, chair of our Criminal Justice program. The scholarship will enable students to have further opportunities to gain the experience of international travel study, something Kevin indicates was transformative in his own life. Our student focus is on “A Day in the Life…” . You probably realize that many of our students spend a significant amount of time outside of school working. But just how much? Read about Tyler Mackey, a Junior at SIUE, who easily puts in twelve hours each and every day. Mackey works 30-40 hours per week at a body shop cleaning bays, crushing parts, and working on trucks. Tyler is majoring in Earth and Space Science Secondary Education and hopes to eventually land a position as a Physics teacher. Dieting trends are everywhere, but what about having actual data to back a particular dietary shift? Undergraduate Research and Creative Activities (URCA) Associate, Paige Niepoetter, has been spending her time studying the impacts of fasting in rats, and you can read more about this interesting work. Until the next time, here’s This Month in CAS!